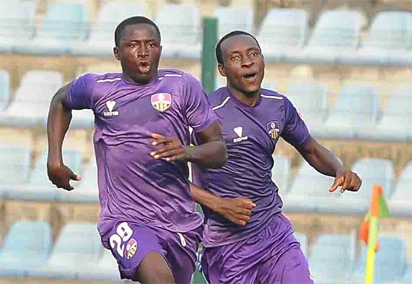 The Soccer Temple, Agege, Lagos was not a good hunting ground for the Anambra Warriors as they bowed 1-0 against MFM, leading the Church Boys to the second position on the log, while table toppers Plateau United left Calabar without any point in the bag. Andrew Abalogu’s 69th minute 20-yard strike beat Plateau United goalkeeper Dele Ajiboye in the second half and that solitary goal nailed the league leaders, but they still have a three-point lead on the log. Remo Stars were two goals better than fellow relegation strugglers, visiting Gombe United. The game was decided in the first sixteen minutes of play. Salefu Oche & Ekene Awazie put the Sky Blues in front after just 16 minutes of play. And that was what separated the both sides. The western derby ended 1-0 in favour of the homers, Shooting Stars Sports Club. The solitary strike came in the early minutes of the first period and the rest of the time was spent in fruitless attempts on goal. After the encounter, Sunshine joined the sides dabbling in the drop zone. El-Kanemi Warriors slipped down the log following their 2-1 defeat in Bauchi in the hands of Wikki Tourists. The Ladan Bosso lead side by virtue of the defeat occupies the 3rd spot on the league table. Masu Gida rose up from their 2-0 lose at Nnewi to make sure their guests left empty handed. Pillars won Lobi 2-1. The most disappointing time for Rangers fans it is. After they lost heavily in Umahia courtesy of Abdullahi Biffo’s Abia Warriors, one would have given them the benefit of doubt against visiting Nasarawa United at the Cathedral, but it was to be another sad outing as the Solid Miners were able to share the spoils. 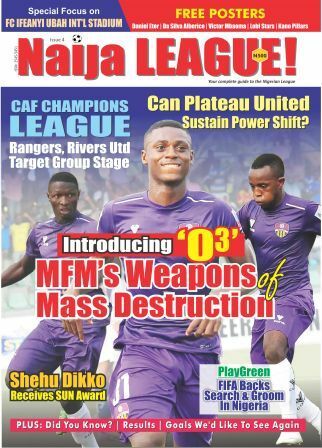 It seems to be dawning on Rangers, the permutation that defending the Nigeria Professional Football League title is an uphill task. The Flying Antelopes may even end up battling the drop if critical measures are left unfastened in view of their gloomy run so far. The Solid Miners were in Enugu to compound the woes of their host after sharing the spoils on top of the heavy defeat Rangers suffered last week. Rangers are still located on the bottom half of the log, the 16th position to be precise. They take a long road trip for their next game against El-Kanemi. Considering the fact that Maiduguri has shaped up as a fortress for Ladan Bosso’s lads, one has no doubt it is a hard time ahead of the Flying Antelopes.